On the Website, you may purchase products and services, such as merchandise, downloadable or virtual products, and membership into members-only (“Membership”) areas of the Website (“Products”). Refunds are not available for incorrect sizes or ordering mistakes caused by you, such as an incorrect address provided for shipping. Refunds are available only in cases of faulty products or a mistake made by the company. To request a refund, please email thejoysofboysblog@gmail.com with a description of the problem. Please include: your name, contact information, order number and a description of the problem. If the issue is a faulty product, please provide a photo of the product when possible. All refunds requests will be review within 5 business days. Refunds are granted in CKL’s sole discretion. Refunds are not available on downloadable products. Membership may be canceled at any time. The member account will be disabled immediately upon request of cancellation. The Website does not offer refunds after the monthly fee has been charged. You may avoid incurring additional fees by cancelling your membership for future months prior to the billing date. The Website may receive and store information that you voluntarily submit through the Website for the purpose of subscribing to the Website to receive newsletters, joining the membership community, or for the purpose of leaving comments on blog posts. From time to time, the Website may engage in sponsored campaigns with various influencer networks, brands, and agencies. All sponsored content is duly disclosed in accordance with the FTC’s requirements. From time to time, these sponsored campaigns utilize tracking pixels, which may contain cookies to collect data regarding usage and audience. This information is collected by the sponsoring company to track the results of the campaign. No personally identifiable information collected by the Website is used in conjunction with these tracking pixels. The Website uses Stripe and PayPal to service its ecommerce platform. Personal information, such as name, address, phone number, and email address, is collected for purposes of client communication for order fulfillment. CKL may disclose or transfer personal information collected through the Website to third parties who acquire all or a portion of our business, which may be the result of a merger, consolidation, or purchase of all or a portion of our assets, or in connection with any bankruptcy or reorganization proceeding brought by or against us. You can decline to submit personal information at any time. If you decline, CKL may not be able to continue to provide service to you. 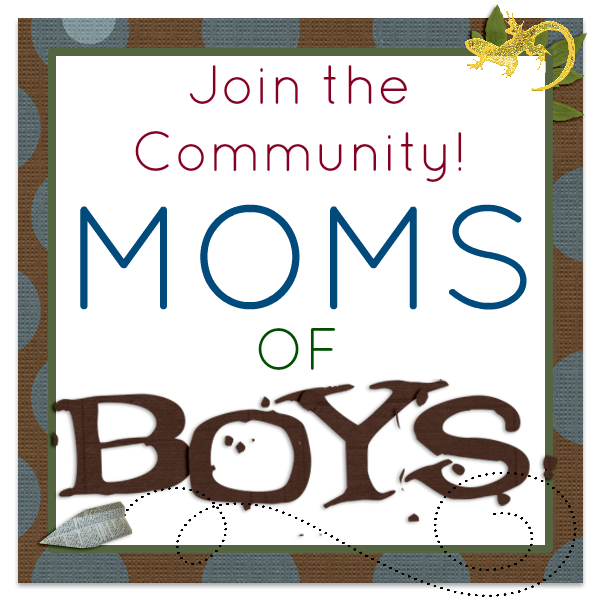 You may request deletion of your personal information by sending an email to thejoysofboysblog@gmail.com​, but in some cases, we may be required to keep your information by law. In such a case, it would no longer be active and would be kept separately in an archive. The Website does not knowingly collect any personally identifiable information from children under the age of 13. If a parent or guardian believes that the Website has personally-identifiable information of a child under the age of 13 in its database the, please contact us immediately thejoysofboysblog@gmail.com​ and CKL will use its best efforts to promptly remove such information from our records. CKL Media, LLC is a participant in the Amazon Services LLC Associates Program, an affiliate advertising program designed to provide a means for sites to earn advertising fees by advertising and link to Amazon.com. From time to time, the Website may post sponsored content from an advertiser. This means that an advertiser, which may be a brand, agency, or influencer network, will contract with CKL to create content featuring certain messages or product placement. Pursuant to the FTC’s requirements, all such advertisements on the Website are clearly and conspicuously disclosed. Even though compensation (e.g., cash, free product, or services) is received for in exchange for this sponsored content placement, CKL gives its honest opinion, findings, believes, or experiences in such content. All views expressed on the Website are those of the content creator. Any product claim, statistic, quote or other representation about a product or service should be verified with the manufacturer, provider, or party in question. From time to time, the Website may discuss topics related to events “(Event”). Such Events may also be listed on the Calendar. All Event content is for informational purposes only. Unless specifically disclosed in the content, CKL is not a partner or sponsor of these Events. You (for yourself, your heirs, personal representatives, or assigns, and anyone else who might make a claim on your behalf) hereby release, waive, discharge and covenant not to sue CKL and its respective parent companies, subsidiaries, affiliates, officers, directors, partners, shareholders, members, agents, employees, vendors, sponsors, and volunteers from any and all claims, demands, causes of action, damages, losses or expenses (including court costs and reasonable attorneys fees) which may arise out of, result from, or relate in any way to your attendance at any Event, except, of course, for any gross negligence or willful misconduct on our part. CKL has made every effort to ensure that all information on the Website have been tested for accuracy. CKL makes no guarantees regarding the results that you will see from using the information provided on the Website. You must not rely on the information on the Website as an alternative to advice from your or your child’s medical professional or healthcare provider. You should never delay seeking medical advice, disregard medical advice, or discontinue medical treatment as a result of any information provided on the Website. Consult a physician or medical professional before beginning any fitness program or changing your diet. Any form of exercise poses inherent risk of injury and by voluntarily engaging in any exercise or workout presented on the Website, you assume the risk of any potential injury that may result. From time to time, the Website will publish content with recipes. All such recipes have been tried and used successfully, but results may vary from person to person. Consult your medial professional before using any recipe if you have concerns about how you may individually react to the use of any particular recipe or ingredient. By voluntarily creating and using any recipe provided here, you assume the risk of any potential injury that may result. From time to time, the Website will publish content with craft or science experiment tutorials. All such recipes have been tried and used successfully, but results may vary from person to person. By voluntarily engaging in the steps outlined in any tutorial provided here, you assume the risk of any potential injury that may result. From time to time, the Website may discuss topics related to travel, including discussion of modes of transportation, lodging, and activities. Your experience with the same providers mentioned may differ from that depicted on the Website. All information provided on the Website is provided “as is” without any representations or warranties, express or implied. The Website makes no representations or warranties in relation to the information provided in the Content. The Website was developed strictly for informational purposes. You understand and agree that you are fully responsible for your use of the information provided on the Website. CKL makes no representations, warranties or guarantees. You understand that results may vary from person to person. CKL assumes no responsibility for errors or omissions that may appear in the Website. Unless otherwise stated, CKL owns the intellectual property and rights to all content and material on the Website. Subject to the license below, all intellectual property rights are reserved. From time to time, the Website will utilize various plugins or widgets to allow sharing of content via social media channels, email or other methods. Use of these plugins or widgets does not constitute any waiver of CKL’s intellectual property rights. Such use is a limited license to republish the content on the approved social media channels, with full credit to CKL. You must not conduct any systematic or automated data collection activities, including, but not limited to scraping, data mining, data extraction or data harvesting on or in relation to the Website without CKL’s express written permission. You must not use the Website for any third-party marketing without CKL’s express written permission. Unless otherwise noted, the design, content and all components of the Website are copyrights owned by CKL or third parties and are protected by United States and international copyright laws and should not be reused or republished without express written permission. The Joys of Boys and Queen Raising Kings are a trademark of CKL. CKL’s trademarks and trade dress may not be used in connection with any product or service that is not CKL’s, in any manner likely to cause confusion among consumers, or in any manner that disparages or discredits CKL or the Website. From time to time, the Website will legally utilize trademarks owned by third parties related to CKL’s services. These trademarks are the respective property of their owners. You grant CKL a worldwide, irrevocable, non-exclusive, royalty-free license to use, reproduce, adapt, publish, translate and distribute any content you contribute to the Website. This includes, but is not limited to, text, images, audio material, comments, video material and audio-visual material. This license extends to all known and future media. You also grant CKL the right to sub-license these rights and the right to bring an action for infringement of these rights. All downloadable products available for sale on the Website were developed solely for your personal use and may not be reproduced for publication or for the personal or commercial use of others without permission. Any content you contribute to the site, including, but not limited to text, images, audio material, comments, video material and audio-visual material, must not be illegal or unlawful, may not infringe on any third-party’s legal rights, and must not be capable of giving rise to legal action whether against you or CKL or a third party. CKL reserves the right to edit or remove: (i) any material submitted to the Website; (ii) stored on CKL’s servers; or, (iii) hosted or published on the Website. CKL takes no responsibility and assumes no liability for any content posted by you or any third party. CKL’s sole discretion will be used to determine if a comment is in violation of this comment policy. Any comments in violation will be promptly deleted and no further explanation will be due to you if your comment was determined to be in violation with this policy. The Website offers the option to subscribe to members-only content (“Membership”), which includes forums where comments may be made and content may be uploaded. The above-stated policies related to comments and contribution of content also apply to the Membership. CKL’s sole discretion will be used to determine if a member is in violation of these policies. Any members in violation will be promptly deleted and no refund will be due. From time to time, the Website will publish posts with images from other third-party websites. Any such use is intended considered fair use under copyright laws and is fully attributed to the owner. 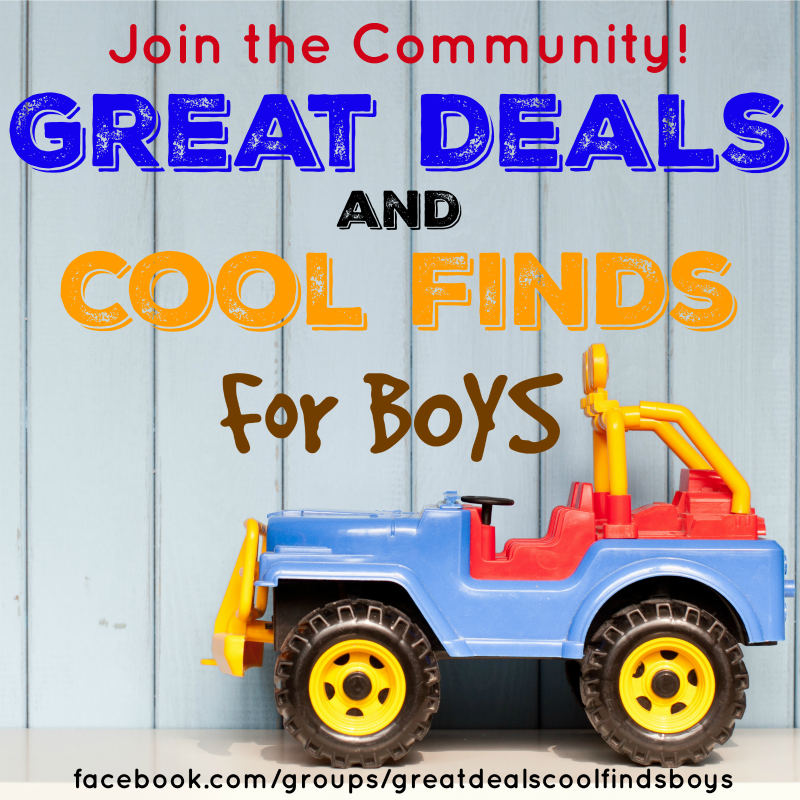 If you believe that your copyrighted work has been used on the Website in a way that constitutes copyright infringement and falls outside of fair use, please send a request to thejoysofboysblog@gmail.com​ and we will remove the image within 24 to 48 hours. If you send CKL an email, register to use the Website or provide your email to CKL in any other way, you consent to receive communications from CKL electronically. You agree that all legal notices provided via electronic means from CKL satisfy any requirement for written notice. Prior to engaging in any events or commercial transactions with any third parties discovered through or linked on the Website, you must complete any necessary investigation or due diligence. If there is a dispute for any events or commercial transactions with a third party discovered through or linked on the Website, you expressly hold CKL harmless from any and all liability in any dispute. The Website are provided on an “as is” and “as available” basis without any representations or warranties, expressed or implied. CKL makes no representations or warranties in relation to the Website or the information and materials provided therein. CKL makes no warranty the Website will meet your requirements; will be available uninterrupted; timely and free of viruses or bugs; or represents the full functionality, accuracy, and reliability of the Website. CKL is not responsible to you for the loss of any content or material uploaded or transmitted through the Website. The Website is written in English and makes no warranty regarding translation or interpretation of content in any language. CKL WILL NOT BE LIABLE FOR ANY CONSEQUENTIAL, INCIDENTAL, INDIRECT, EXEMPLARY, PUNITIVE OR SPECIAL DAMAGES OF ANY KIND, HOWEVER CAUSED, INCLUDING LOSS OF PROFITS, REVENUE, DATA OR USE, INCURRED BY YOU, WHETHER UNDER THEORY OF CONTRACT, TORT (INCLUDING NEGLIGENCE), WARRANTY OR OTHERWISE, EVEN IF THE OTHER PARTY HAS BEEN ADVISED OF THE POSSIBILITY OF SUCH DAMAGES.